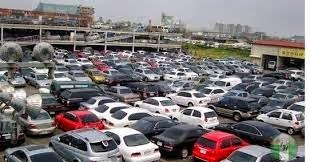 Twenty-four hours after the new automotive development plan was approved by the Federal Executive Council, the Federal Government on Thursday said a new tariff on the importation of cars would be announced soon. The move will make imported cars more expensive thus, promoting the purchase of locally manufactured vehicles. The Minister of Industry, Trade and Investment, Mr. Olusegun Aganga, confirmed the development during a chat with journalists in Abuja. Aganga said the old tariff had been reviewed upwards, adding that the new tariff had already been approved by the Federal Government. This, he added, was part of measures to develop the Nigerian automotive industry. “The importation of Tokunbo vehicles will not be a major threat to the automotive development plan. The tariff for the importation of cars has been reviewed upward and will be announced soon,” he said. Aganga also said the ministry had commenced, with immediate effect, the implementation of the Automotive Industrial Policy Development Plan. The measures, which were approved by the Federal Executive Council on Wednesday, according to the minister, will position Nigeria in the league of auto-producing countries. He said with the new measures, the automotive industry would create significant, good quality employment and a wide range of technologically advanced manufacturing opportunities. He said, “In many countries around the world, the automotive industry plays both strategic and catalytic roles in economic development, particularly in employment creation and wealth generation. While stating that the manufacture of vehicles would enable Nigeria to acquire the technologies of mass production and quality control, Aganga said arrangements were being made to manufacture new cars that would be sold for between N1.2m and N1.5m. He said, “Recognising the strategic effects of the automotive industry in industrialisation, emerging economies like Brazil, China, Malaysia, India, Iran, Indonesia, Thailand and South Africa took deliberate steps to develop their automotive industry between the 1960s and 1980s. The Director-General, National Automotive Council, Mr. Aminu Jalal, said many international automotive manufacturers in particular, Toyota, Nissan, Renault and General Motors, had indicated interest to invest in Nigeria following the evolution of the automotive development plan. He said, “Nissan, Toyota and others are now conducting a feasibility study on vehicle assembly in Nigeria. Jalal said 490,000 other jobs would also be created in the raw materials supply industries. He added that importers could still clear imported vehicles at the old rates until February 28, 2014, provided “they can prove that they had opened a letter of credit for the vehicles before October 3, 2013.